I posted recently about wanting a simple and beautiful Christmas without the stress of having to arrange a present for everyone. After writing and posting those thoughts I declared immediately to our adult household “I am not giving anyone anything for Christmas this year!” I was met with amused smiles and shrugs, but I felt greatly released all the same. 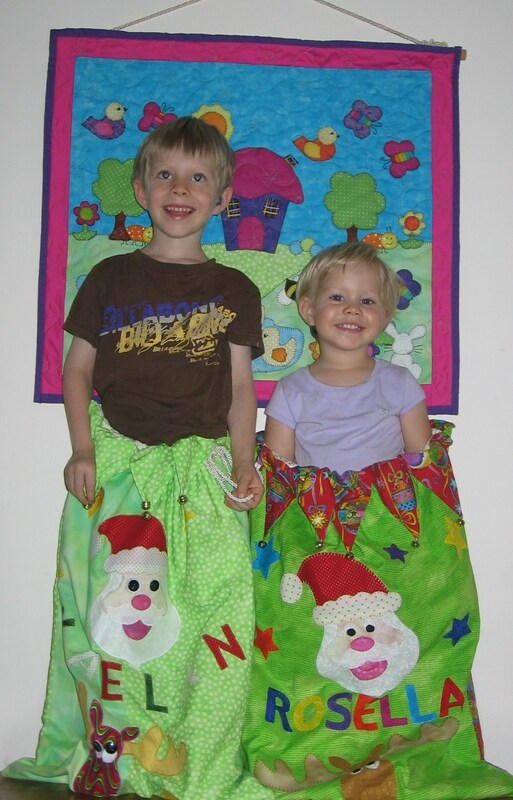 I would like to clarify now that my kids were always going to receive a gift – but only one! Arranging presents for everyone every year is a task that always seems to have fallen to me but it was not until I declared that I wouldn’t do it this year that I realized it was a task I always took on for myself, which is ironic because I just don’t believe that gifts should be given out of a sense of responsibility. Just because we traditionally exchange presents at Christmas, it doesn’t mean we have to! Friends in my community have been looking at other options for gift giving and it has been wonderful to see the sharing of ways that heartfelt gift-giving can be encouraged without resorting to sacrificing oneself at the altar of Christmas Spirit by searching for the perfect gifts in shopping centres or by staying up to ridiculous hours at night trying to finish hand-making presents for every family member. I’ve got time to enjoy the lead-up to Christmas with my family. I love waking up with the thoughts of what I could do today, rather than what I have to do today. My children are home on holidays and I am looking forward to playing and creating and getting filled with Christmas Spirit from a place of wonder and excitement rather than from a place of obligation, responsibility and planning. I am so OVER planning!! And of course now the funny thing is that since I have made the decision not to give gifts I find myself thinking of things I would like to make for people. I have created a void and voids must be filled!! But it is ok: now I free myself of Christmas Day as a deadline. After I finish the gifts for the kids we will see what I have time to do. My priority this year is to PLAY!